Ever wanted to reach for the sky with Buzz Lightyear himself? Thanks to a cooperation with China Eastern Airlines, now you can do just that! 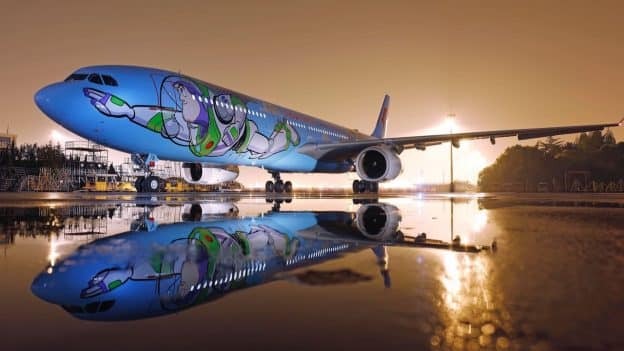 The first Disney·Pixar Toy Story Land themed plane took flight from Shanghai over the weekend, featuring in-flight entertainment and colorful décor that illustrates the new attractions now open at Shanghai Disney Resort. Even the ceiling is decorated for this special flight experience! 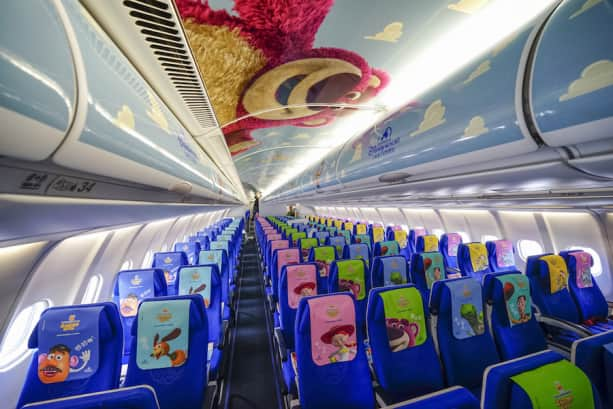 Travelers at Shanghai Hongqiao International Airport will spot favorite Toy Story characters in the departure terminal before take-off and receive a commemorative boarding pass as part of the new flight experience. The plane will fly between Beijing and Shanghai, with service to and from other Chinese cities in the future. 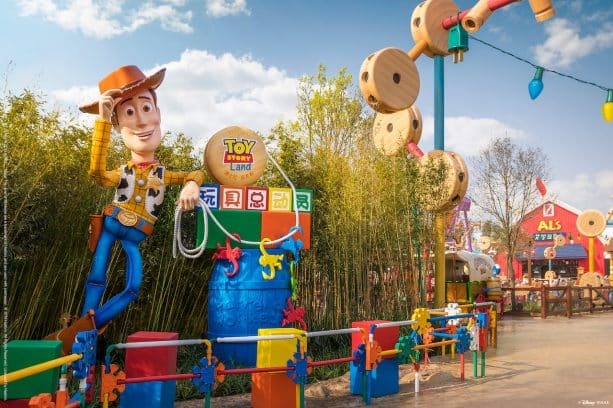 And once you touch down in Shanghai, Disney·Pixar Toy Story Land at Shanghai Disneyland is a can’t-miss! Take a look at last week’s post for a glimpse at the playful new attractions and experiences in the park’s seventh themed land. This is so cool love that they even decorated the inside wish it was here in the US for when our toy story opens. What make is the aircraft?